After a few-month-long hiatus, it is time to bring back our Metals of the Month feature on the blog. In its context, we have been highlighting the breadth of our mineral needs and potential by showcasing the utilities of metals and minerals for which the United States is largely import-dependent, as well as associated challenges. With oral arguments in a related court case scheduled for this month, and an increased media focus, May presents itself as the perfect month to zero in on a group of metals often referred to as “conflict minerals,” or more casually, the “three Ts” – Tungsten, Tin and Tantalum. The term “conflict minerals” has “taken center stage for thousands of buying organizations across the United States” with the passage of the 2010 Dodd-Frank financial reform law and respective rules handed down by the SEC in 2012. With many compliance issues relating to requirements for companies to disclose whether they source one of the three Ts or gold (which is also covered by the requirements of Dodd Frank) from the Democratic Republic of the Congo (DRC) and its surrounding issues, the National Association of Manufacturers (NAM), the Business Roundtable, and the U.S. Chamber of Commerce set out to challenge the SEC rule in December. It is used for hardening a variety of tools, bullets, and other military applications, as well as electrical applications. The U.S. import dependency rate for tungsten is currently at 42 percent. With China controlling most of the world’s output, the tungsten supply outlook stays troublesome, leading the British Geological Survey to rank it as one of the metals most prone to supply disruptions. Tin stands out through its corrosion resistance, non-toxicity and attractive appearance. Major traditional uses for tin include electrical applications, cans and containers, construction and transportation, while new uses extend to consumer electronics, lithium-ion technology (where tin can extend battery life), and stainless steel, as well as animal health care products. The U.S. import dependency rate for tin is currently at 75 percent. Tantalum stands out through the following characteristics: superconductivity, corrosion resistance, very high melting temperatures, a high coefficient of capacitance, bio-compatibility. 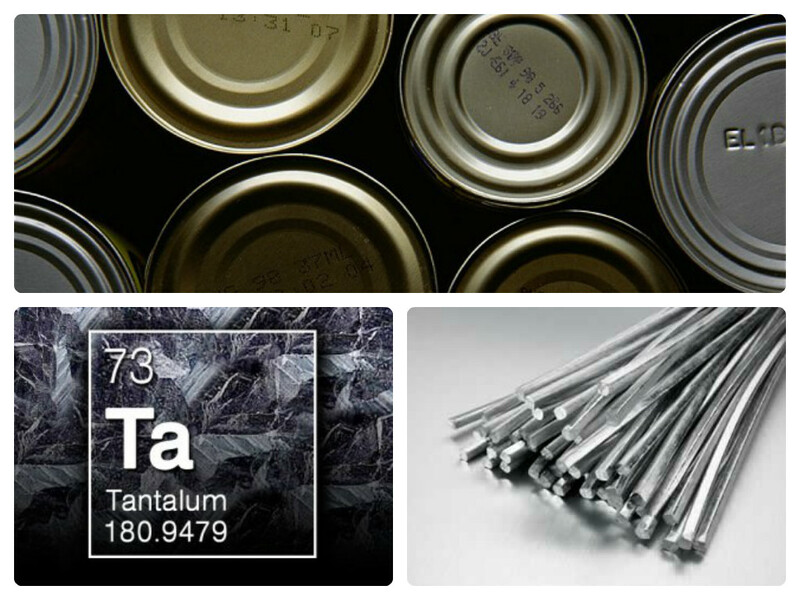 Because of its properties, a large percentage of tantalum production goes into tantalum chemicals, and the manufacture of metallurgical grade powers. End uses include chemical processing equipment, military applications and gas turbine blades, industrial high-speed cutting and boring tools and drill bits, electronics, medical devices and specialty glass and structural ceramics. 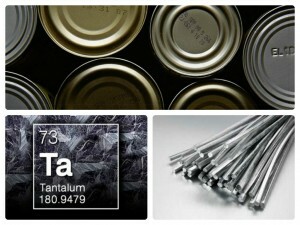 The U.S. import dependency rate for Tantalum is 100 percent. Stay tuned for more “Three T”-related coverage on our blog, Facebook and Twitter throughout the month of May.